Drawing high-quality characters is longer a process than most realize. It involves coming up with original ideas, hand-drawing sketches, selecting the best between them, tracing and coloring them in Illustrator to turn them into detailed vectors (infinitely scalable graphics) and, finally, getting them through thorough quality control. This process means we often end up with a huge number of rough drafts that we never turn into vectors and thus never make available to our store. But we realized that those “rough drafts” may actually be useful to some of you. So we’re starting a series of blog posts to gradually release the best among them for free personal, editorial, educational, AND commercial use. Feel free to do whatever you want with them. No attribution necessary. But please do not put a price on them and resell them – that just wouldn’t be cool! But you can obviously use them in products that you sell. For example, you can use them in a book that you sell to your customers and even as part of a larger design for physical products. 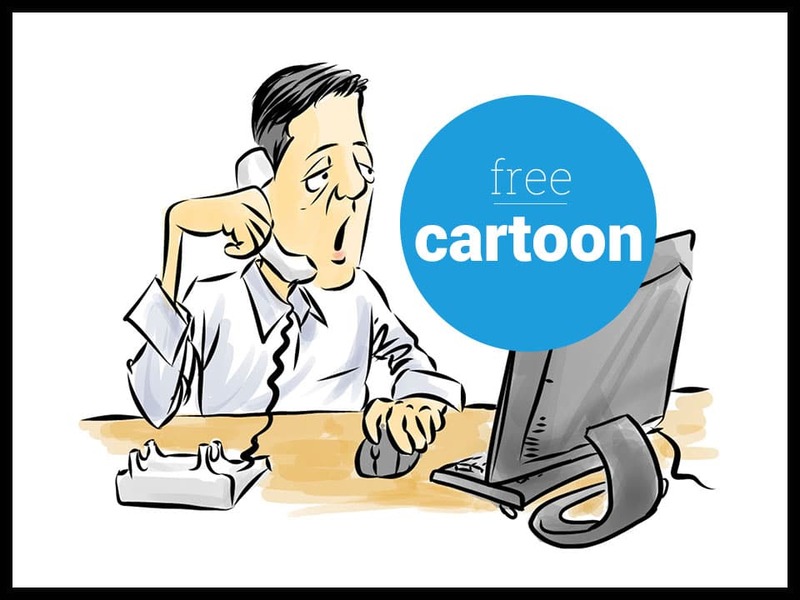 Basically, these free cartoons come under the same license as our paid vector cartoon clipart. Read more about our license here. Without further ado, here’s the first of them (right click and “Save Image As” to download). Also, do not forget to check out our premium business clipart.